We were all shocked and saddened by the loss of one of the most brilliant comedians to ever grace this planet. 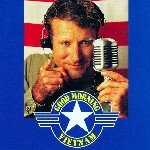 So for three days straight we will be showing a few of our favorite Robin Williams films. Please join us at The Vapor Gypsy to celebrate the life and work of the legendary Robin Williams! During the marathon 5% of our Net Sales will go to the AMERICAN FOUNDATION FOR SUICIDE PREVENTION. If you can't make it out to the event but would like to make a difference, you can make a donation here!